A lovely way to start a new month! 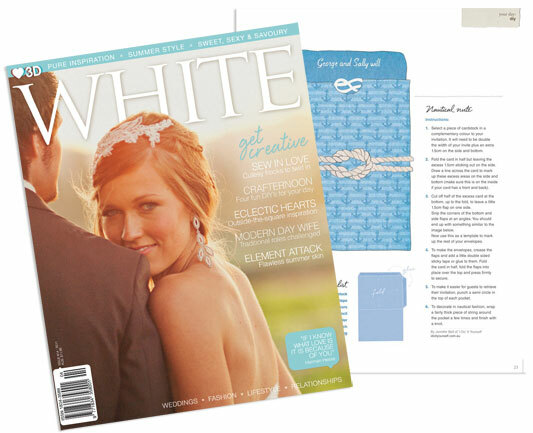 The beautiful White magazine is out packed with all sorts of lovely ideas and dreamy pics. 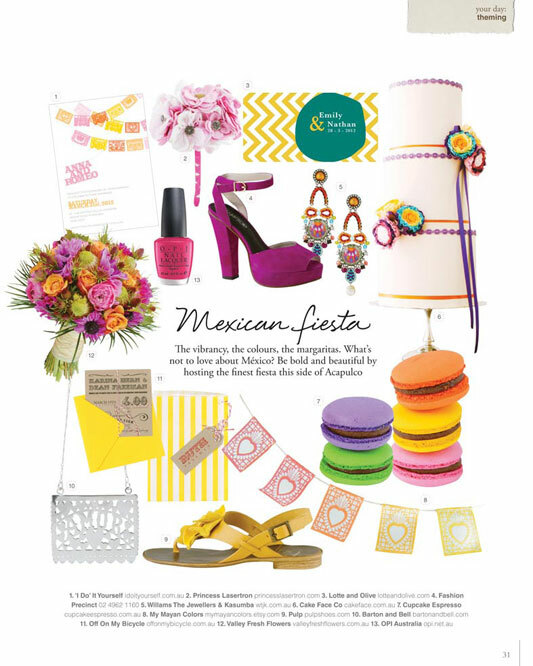 We were wrapped to see our fiesta and tie the knot invitations featured in some beautiful theming pages. 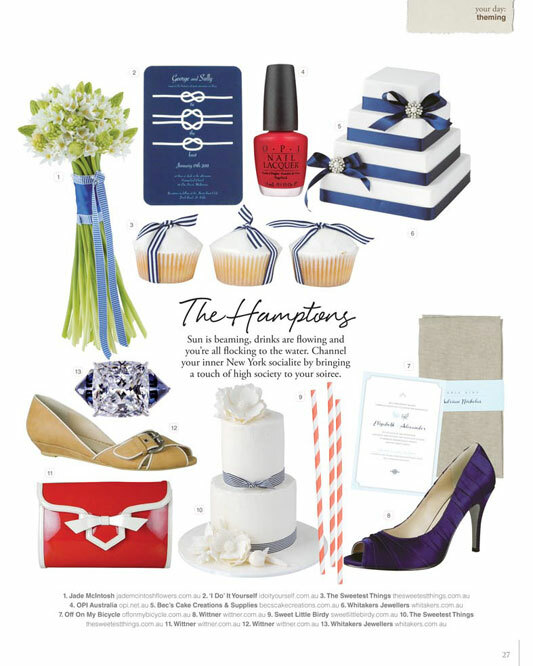 Plus if you turn to page 23 you'll find our step by step to making a nautical invite pocket.